St Margaret’s Golf & Country Club was the venue for the first TIGS 2019 outing. An enjoyable team event meant a great day was had by all, in a really fantastic location. Vice-Captain, Olwen McKinney also celebrated her birthday with a nice TIGS handmade cake. The winners on the day included: Darach Culligan, Martin Callanan and Bryan’s guest Bryan Wallace won the overall team. Runner up team was Dermot Merrigan, Peter O’Hanlon, Mark Reddy and Volker Lorenz. Third placed team was Tany Airey, Philip Airey, Gillian Lowry and David Smith. 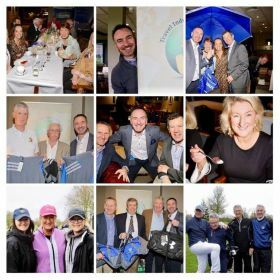 Next outing is at Greenore Golf Club in Carlingford on 18th April sponsored by Amadeus Ireland.